In the lush region of Fairfield County, Connecticut, you will find a truly remarkable town known as Greenwich. Greenwich, Connecticut is home to approximately 62,300 residents and a large number of hedge funds and similar financial service companies. This delightful town is the westernmost and the southernmost municipality in the state and in the six-state region of beautiful New England. 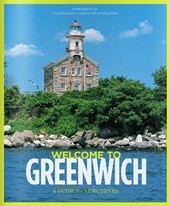 Greenwich is also the largest town on the state’s prestigious “Gold Coast” and boasts the recognition of having been ranked on Money magazine’s and CNN/Money’s 2005 lists of the “100 Best Places to Live” in the nation. This gorgeous town boasts a rich history and was named after the Greenwich Borough of London in the U.K. Residents of this community enjoy its splendid small town ambiance and its close proximity to the big cities and all of their exciting amenities and attractions. This family-friendly place is not only a wonderful community for homebuyers with children, but it is just as ideal for singles, couples, retirees and everyone wanting to live a high quality life in a place of abundant natural beauty. Within Greenwich, Connecticut, there are a multitude of truly impressive real estate opportunities within its many remarkable neighborhoods and subdivisions. Among some of the most noteworthy you’ll find Sherwood Farms, Milbrook, Indian Harbor, Calhoun Drive, Belle Haven and Mead Point. Mead Point is a great place to buy a home in Greenwich and boasts exclusive waterfront properties that are sure to impress and entice prospective homebuyers. This 24 hour guard-gated community boasts a private beach and a community dock with slips for residents’ boats. Mead Point is in Central Greenwich and affords residents easy access to the Bruce Museum, Greenwich Library, the hospital and several other points of interest, as well as great shopping and dining options. Additionally, Mead Point is only minutes from Greenwich Avenue and the train. The beautiful waterfront homes available in Mead Point vary in price depending upon the property’s size, architectural style, view and other special features. While there are certainly exceptions, many Mead Point homes have listing prices around $6 million to $8 million. Buy a home in Mead Point and enjoy the security afforded by this exclusive community, as well as the picturesque beauty of its many luxurious waterfront homes. 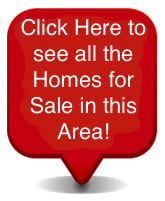 If you would like to buy a home in the exclusive Mead Point Association of Greenwich, Connecticut, please do not hesitate to contact us today for assistance or more information.